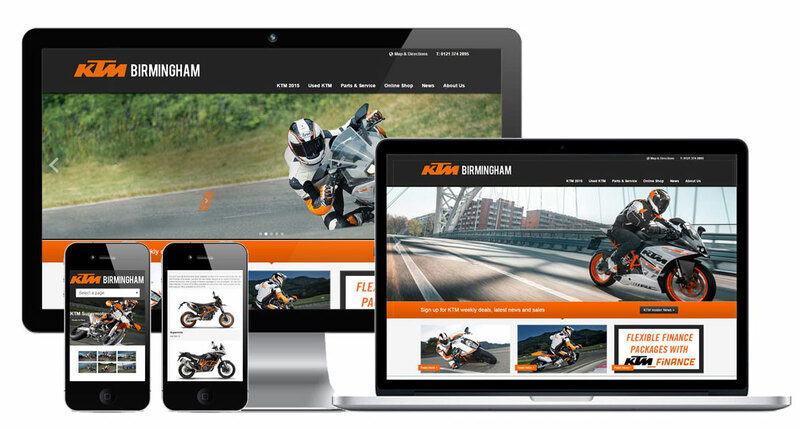 Are you a motorcycle or scooter dealer in need of a website for your dealership? 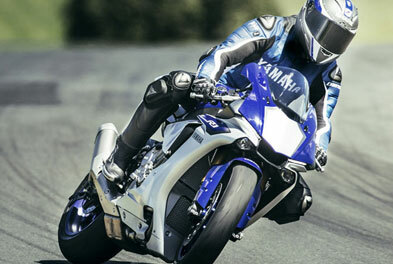 We are experts at creating effective web sites & online stores for motorcycle dealers. 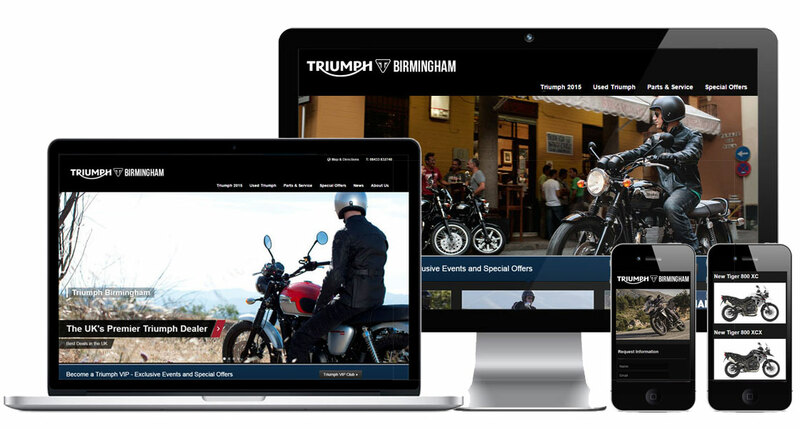 Our founding directors came from a large automotive and motorcycle web company, so we have over 15 years experience helping dealers grow their sales via the web. Mobile websites to reach mobile web users. We'll develop a mobile friendly version of your website built specifically to target leads and convert customers via the mobile web. 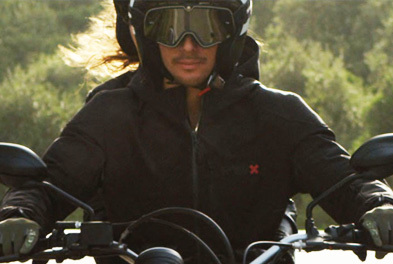 Online Stores for motorcycle dealers. Whether you want to create a large online shop selling 1000's of items, or just sell a few accessories... we can help. Our online shops are easy to use, yet can also integrate with 3rd party data feeds from your suppliers such as Feridax and Bike-it if required. People are looking for your website. Can they find you? Improve search engine rankings and generate more business with our proven Search Engine Optimization (SEO) service. Keep in touch with your customers with our monthly E-Newsletter service. Ideal for news, sales and special events. We work closely with most manufacturers to make sure your website is up to date with current models and latest brand specific special offers. 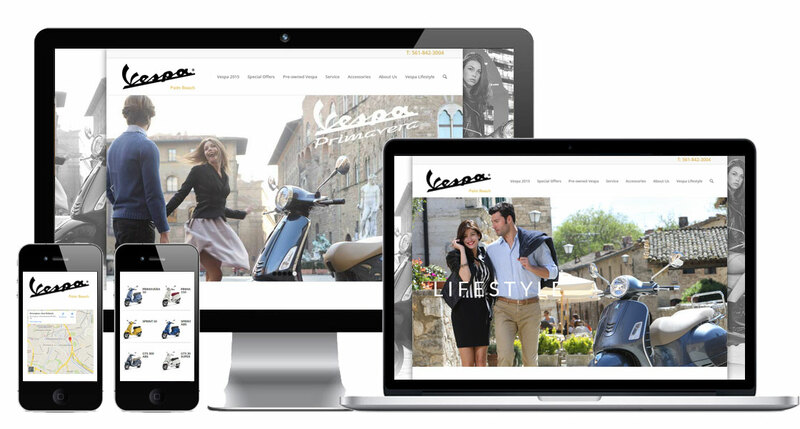 We have built websites for dealers including: Aprila, Ducati, Honda, Kawasaki, Moto Guzzi, Suzuki, Yamaha, Vespa & Piaggio. 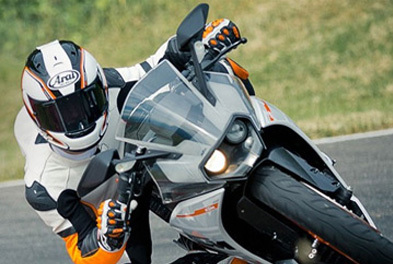 Click here to view our Motorcycle Dealer Case Study. 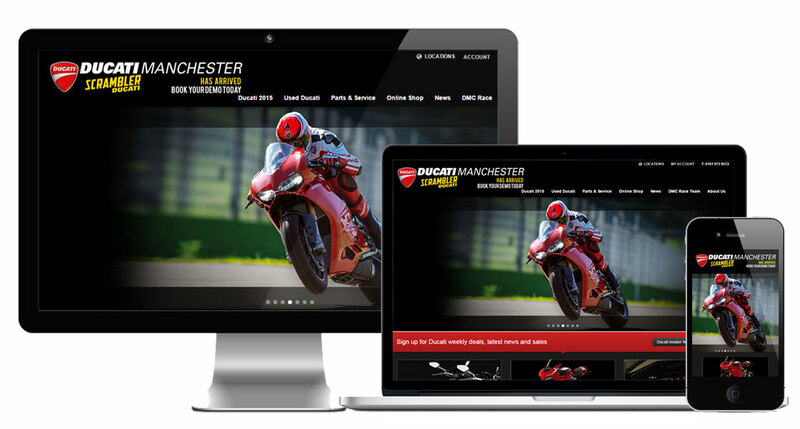 View a small selection of some of the websites we have created for motorcycle dealers. "We have enjoyed working with the ADX Media team since 2002. 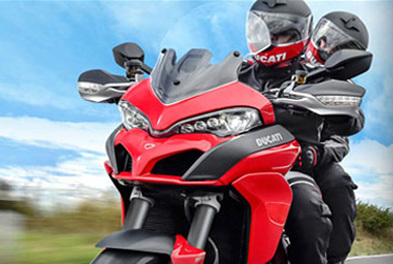 They have helped us become one of the largest Ducati stores in Europe." "ADX Media delivered exactly what we were hoping for. We’ve been happily working with ADX Media since 2008." "ADX Media were great to work with from the start. 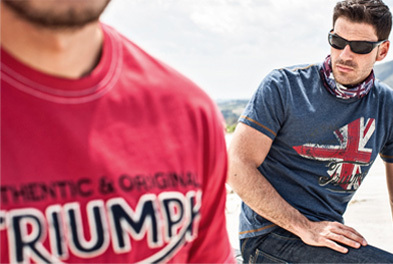 They took our ideas and launched our KTM branded website in almost 2 weeks. Great job. " "I would recommend ADX Media to any dealer looking for a web designer. 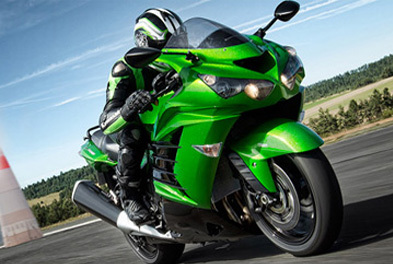 They are easy to work with and definitely understand the motorcycle trade." ADX Media is a full service web design and marketing company. We have over 18 years experience helping small businesses and individuals to grow their businesses online. Drop us an email or give us a call to see how ADX Media can help grow your business online. We respect your privacy and never share your information.